He's been called "the Salvador Dalí of the kitchen" for creations ranging from beetroot and yogurt ice-cream lollipops to a deconstructed Spanish omelet served in a parfait glass. Each year, some 2 million hopeful diners vie to be one of the fifty customers he serves each evening for the six months that elBulli, his restaurant, is open. 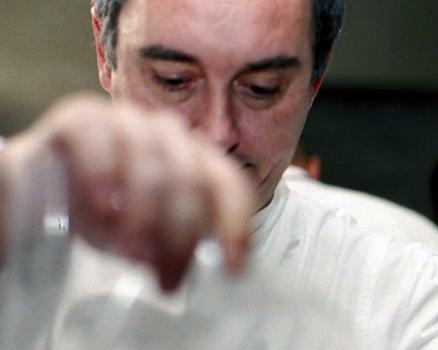 The world is beating a path to Chef Ferran Adrià's door, but why? "Creativity comes first; then comes the customer," he has said. So what can HBS students learn about marketing from a business owner who says he doesn't care whether or not customers like his product? HBS assistant professor Michael Norton's interest in what motivates seemingly irrational consumer behavior has found a perfect subject in Adrià. To eat at elBulli, customers must navigate a mysterious reservations system. If they are lucky enough to be one of the 8,000 who get a booking that year, they are then given a date and time to show up. Reaching elBulli's coastal perch involves traveling to Barcelona, then negotiating two hours of narrow, twisting mountain roads. But then they enjoy a five-hour meal of thirty-some completely original, whimsical dishes prepared by Adrià and his team of thirty to forty cooks. The meal costs roughly 230 euros and represents hours of laborious research, testing, and preparation. In addition to engaging a diner's five senses, Adrià and his team hope to evoke irony, humor, and even childhood memories with their creations. "We have turned eating into an experience that supersedes eating," he has said. "If the product is merely food, Adrià should move the restaurant to Barcelona or Madrid," says Norton, who has written a case on elBulli with Julián Villanueva and Luc Wathieu. "Another view is that the product is the whole experience, from start to finish—so driving for two hours in the mountains is a crucial aspect of the product." Norton asks students to consider the operations and marketing of elBulli. There is much about the restaurant that is inefficient, as MBAs are quick to note: Adrià should lower his staff numbers, use cheaper ingredients, improve his supply chain, and increase the restaurant's hours of operation. But "fixing" elBulli turns it into just another restaurant, says Norton: "The things that make it inefficient are part of what makes it so valuable to people." Adrià's other business ventures include publishing elBulli-related catalogs, consulting to large food manufacturers, and the launch of an elBulli hotel and a chain of reasonably priced restaurants called Fast Good. But what is the balance between leveraging the Adrià/elBulli brand and breaking its core meaning? In a classroom discussion of first-year Marketing students, Norton says opinion was divided. Some felt sure that Adrià should be doing more to cash in on his name; others said he would destroy what he has worked so hard to build. In December, students had the opportunity to hear from the man himself when Adrià visited Norton's Marketing class, where his comments made it clear that for this particular business owner, creativity and innovation trump any traditional decisions about pricing and operations. 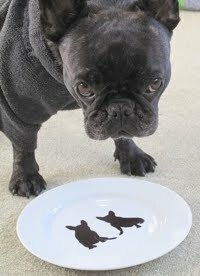 "I should charge 600 euros [for a meal at elBulli]," Adrià has said, "but I do not cook for millionaires. I cook for sensitive people." Because Adrià doesn't adhere to business norms, the elBulli case shows just how broad the spectrum for marketing a "product" can be—and that's not a bad thing for MBAs to learn. "Marketing is a science, but it's also an art," Norton remarks. "Adrià says he doesn't listen to customers, yet his customers are some of the most satisfied in the world. That's an interesting riddle to consider." Julia Hanna is associate editor of HBS Alumni Bulletin.